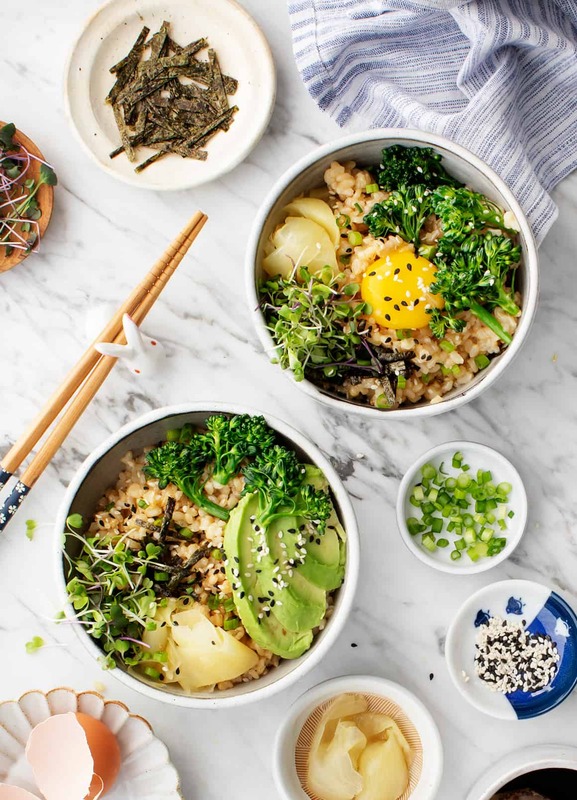 This Japanese-inspired rice bowl is the perfect healthy breakfast or dinner! Piping hot brown rice cooks an egg, making a creamy, risotto-like texture. This healthy & hearty pasta pomodoro will become your go-to weeknight dinner! The creamy sauce is bursting with tangy tomato flavor. Mark your calendar for our cookbook launch party, Thursday April 25th at the Lincoln Park Williams Sonoma in Chicago. See details below! My favorite carrot cake recipe! It’s moist, it’s easy, and it’s a little healthy too, made with whole wheat flour, applesauce, and maple syrup. Baked sweet potatoes are the perfect cozy, healthy weeknight dinner. Here are four fun and flavorful ways to stuff them!